Working Day Concept Set. Vector In Flat Style. Businessman In Office Work Situations. 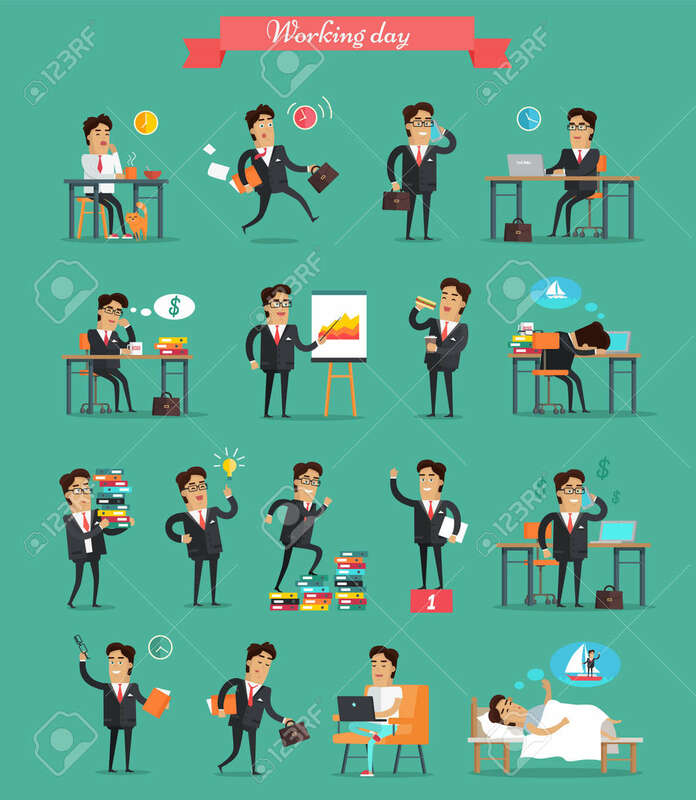 Planning, Browsing, Calling, Dreaming, Sleeping, Break, Victory, Paper Work Hurry Fatigue Stress Illustrations Royalty Free Kliparty, Vektory A Ilustrace. Image 63504548.